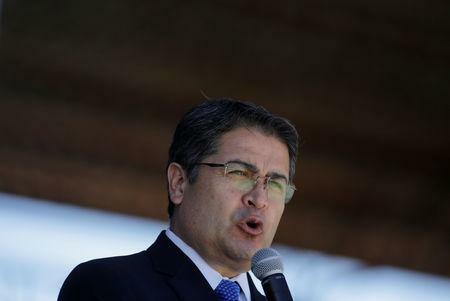 TEGUCIGALPA (Reuters) - Honduran President Juan Orlando Hernandez on Sunday called Jerusalem Israel's capital, saying the Central American country would open a trade office there, but he stopped short of announcing plans to move his embassy from Tel Aviv. "Today I have announced the first step, which is to open a trade office in Jerusalem, the capital of the state of Israel, and this will be an extension of our embassy in Tel Aviv," Hernandez said in a statement issued by his government. "I've said that a second step will draw a lot of attacks from the enemies of Israel and the United States, but we will continue along this path," Hernandez added. Hernandez' comments follow the formal recognition by U.S. President Donald Trump of Jerusalem as the Israeli capital. Last May, Trump moved the U.S. embassy to the disputed city. Trump's move was criticized by many foreign governments and caused anger among Palestinians, who with broad international backing seek East Jerusalem as the capital of a state they want to establish in the occupied West Bank and the Gaza Strip. 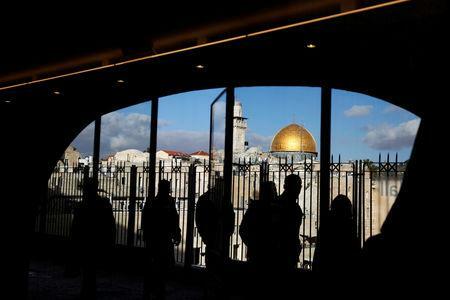 East Jerusalem is still considered occupied under international law, and the city's status is supposed to be decided as part of an Israeli-Palestinian peace agreement. Hernandez' legitimacy was called into question during his 2017 re-election bid after the official vote count ground to a halt when he appeared to be headed for defeat.